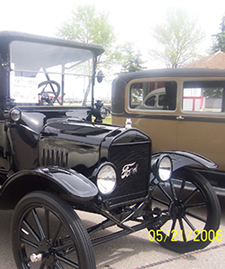 The Fargo Red River Horseless Carriage Club of America is an organization that gets excited about the restoration and upkeep of collector automobiles as well as the trading and bartering of parts. While we focus mainly on early 20th century automobiles, any type of car is accepted and encouraged to be displayed at a show. One of the greatest qualities of this particular auto club is the practice of “the swap meet”. A swap meet is an event where automobile enthusiasts and collectors can buy, sell, or trade car parts to one another. This is a great way for someone in need of a particular part to find something they need as well as a great opportunity for someone to trade or sell the parts that they have no use for any longer. The Horseless Carriage Club of America is always looking for new members. Anyone can join — young, old, simply anyone interested in automobiles. If the organization appeals to you visit our Horseless Carriage Club of America page for more information about the national organization as well as a link to their website that has complete instructions on how to become part of this reputable affiliation.